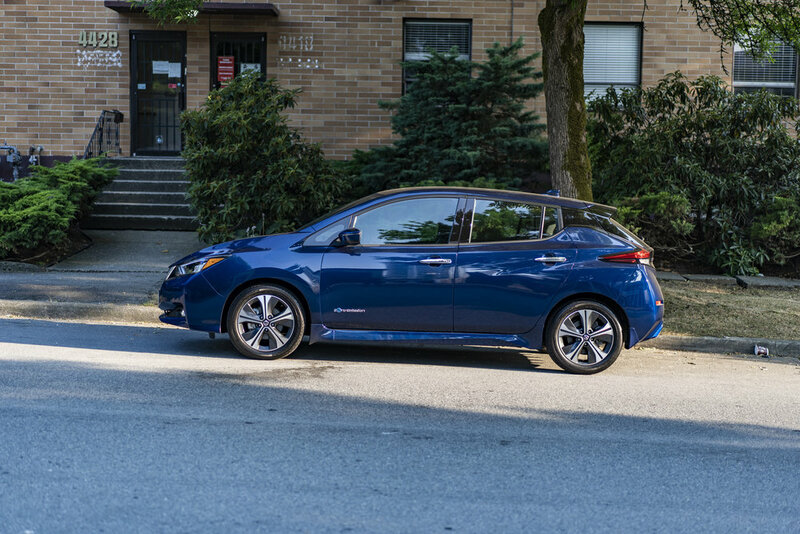 Disclosure: Nissan Canada & JS Auto provided me with the 2018 Nissan Leaf for a week to test drive, and photograph. All photos in this blog post was taken by me. My opinions are comparing it against mainstream EVs costing $40,000. Nissan’s Leaf is a revolutionary driving experience for me. Imagine driving simplified to using one pedal for both accelerating and stopping. I was a non believer till I tried it and honestly I’m hooked! It doesn’t take long for you to adjust your driving style to the new system. Of course there is always a brake pedal for emergencies and if you really don’t like it, there is a switch to drive it like a “normal” car. While the 2018 range numbers may not be as impressive as the Bolt or Tesla3, it is more efficient due to having a smaller battery (lighter weight) and plenty of range for the average commuter. If you’re worried about not having enough range, I would recommend going for a test drive in a normal scenario to see if it works for you. The regenerative braking really helps prolong the battery life and if you’re mostly in bumper to bumper traffic, that’s actually a plus for recharging the battery. However, if you’re craving for more range you should wait for the 2019 Leaf which has even more range than the Tesla3 and almost matching the Bolt. For me, I’m ready to say goodbye to gas stations and really give a serious look at EV vehicles. People who drive a car like this isn’t looking to drive it hard and expect superior handling so I don’t think its a deal breaker. The larger battery adds curb weight and actually causes the ride to feel more grounded on the road. Very respectable control of cabin noise. 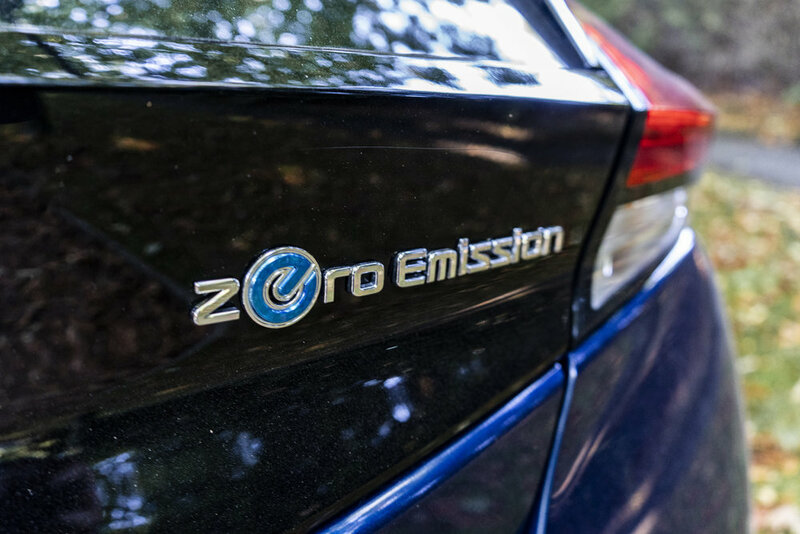 Thanks to the electric motor you’ll have much less noise than a traditional gasoline engine. Love how it looks like the average Nissan vehicle instead of screaming that I’m driving an EV. I think this is the right choice as most shoppers are looking for more normal looking cars that are electric. Front seats are incredibly comfortable to other mainstream EVs. Joystick style shifter might be strange for a new driver but there’s a diagram that shows how it works. E-pedal mode to drive with one pedal is very natural and my favourite way to drive it. Rear leg room is generous for a subcompact shape car. Some of the competition will offer more head room. If you’re 6 feet tall you might be touching the roof. Storage room is good for a subcompact size car. Generally I’m not a fan of Nissan/Infiniti infotainment systems. It’s usually the weakest feature in the car. The infotainment is a bit better than the rest of the Nissan line up but still needs a major redesign. The good news is they are partnering with google to overhaul the infotainment system.